The question I am most often asked is which portable oxygen concentrator (POC) is the best one. My answer: “The best POC is the one that is right for you – for your oxygen needs and lifestyle.” If you looking into purchasing a portable oxygen concentrator and you receive an answer that is different from this one, then you are speaking with a salesman trying to make a quick sale, instead of a respiratory specialist concerned with your oxygen needs. For oxygen on-the-go, portable concentrators are quickly rising to the top as the best source of oxygen. Portable oxygen concentrators are small and easy to carry or wheel on a cart. They work on electrical power in the home, use your car’s battery power when plugged into the automobile outlet, and even work on battery power for maximum portability. That means you can make those travel plans to Seattle to see your grandchildren, or even take that trip to the Rockies. When considering which portable oxygen concentrator is best, the first thing you need to determine is whether you need a continuous flow of oxygen or if a pulse flow is sufficient. Continuous flow means the concentrator is producing oxygen continuously whether you are breathing (inhaling) or not. All home/stationary concentrators provide a continuous flow of oxygen. Pulse flow, also called pulse dose or on-demand, means that the concentrator produces oxygen only when it is triggered by the user’s inhalation (breathing in). When you inhale through the cannula it causes negative air pressure which triggers the concentrator to send a bolus (or puff) of oxygen right at that moment. The concentrator then rests while you are exhaling (breathing out). The concentrator is able to do this through the use of a built-in oxygen conserver, much like those used on oxygen tanks. When used on an oxygen tank, a conserver does just what its name implies: it conserves the oxygen in the tank, allowing it to last three to five times longer than continuous flow. When placed in a portable concentrator, the conserver allows the machine to produce oxygen at a smaller capacity, but still providing an equivalent amount of oxygen at each setting. By placing a conserver inside an oxygen concentrator, manufacturers have been able to greatly reduce the size of the concentrator, thus allowing for portable oxygen concentrators; and in a portable oxygen that offers both continuous and pulse flow, choosing the pulse flow setting increases the usable battery time. Most oxygen users find that pulse flow works very well for them during waking hours. However, some oxygen users require at least the option of continuous flow. If you plan to frequently use your portable oxygen concentrator while sleeping, you most likely will need the continuous flow option because people often breath too shallow to trigger the pulse or do not breath through their nose at all while sleeping. 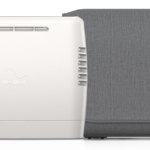 Also, if you will need to connect your portable oxygen concentrator to a C-PAP or Bi-PAP machine, you must choose a continuous flow concentrator. You may also need a portable concentrator with continuous flow if you typically breath through your mouth rather than your nose, or if you have high oxygen requirements (5 LPM or greater). In our next post, we’ll dig a little deeper into how to choose the best portable oxygen concentrator. i HAVE A TRAC IN MY THROAT FOR OXYGEN. i AM SEARCHING FOR A PORTABLE CONCENTRATOR THAT WILL DO CONTINUOS FLOW. i NEED THE SMALLEST ONE i CAN FIND. i’M AFRAID THE sIMPLY GO WOULD BE TOO HEAVY FOR ME . Any suggestions? The SimplyGo is the lightest portable oxygen concentrator on the market that provides continuous flow. The other models available are even larger at 17-20 pounds. While the SimplyGo is a bit heavy for most people to carry for a long time, it does come with a wheeled cart for easy transporting. I have a SimplyGo and the night feature on it is PULSE not continuous flow. I am trying to find one lighter weight and smaller that I can also use at night. The Simply Go is the size of a car battery and I am not able to carry it by the shoulder strap or lift it into my vehicle or into a shopping cart, and stores and restaurants don’t always have room to roll it around in. Have you ever tried to pull a 10 pound cart behind you while pushing a shopping cart through the grocery store? How can other companies make theirs so much smaller and lighter and still claim for night use? I also have 2 batteries and barely get 4 hours use even with both fully charged. Others have 8 hour usage. I have become a shut-in because of the issues I have with the Simply Go. I no longer go to church, or out to eat, or shopping. My medical supplier refuses to work with any other company so I have no say in what I have, it is Simply Go or nothing. Yes, the Sleep Mode for the SimplyGo does provide a pulse dose of oxygen. This is beneficial for users who need more that 2 LPM. However, if you use only 1 or 2 LPM, then you can use the continuous flow setting for sleeping. All of the small POCs have some sort of sleep mode. This feature allows the unit to be more sensitive to shallow breathing and to a slower breathing rate. Some people are able to breathe consistently through their nose and trigger the pulse while sleeping. Others breathe too shallow or breathe through their mouth, so they must have a continuous flow setting. The SimplyGo is the smallest unit on the market that provides a continuous flow setting. The units that you see that are smaller and lighter are pulse only units and can only be used at night with consistent nasal breathing. The battery duration is dependent on the flow setting and your breathing rate. I don’t see that you mentioned what flow setting you use so I cannot determine if what you are experiencing with the battery time is consistent with the manufacturer specification. Regardless, it must be frustrating to not have the freedom you were seeking. Many people who are financially able choose to purchase their own portable oxygen concentrator so that they can get the model they really want. you have certainly got very interesting and informative information… I love it. I am looking at getting my used unit I bought 2 years ago repaired (the red alarm goes constantly) a Life Choice I Inova XYC100A model repaired (I guess it needs new batteries.. a repair person is to call me tomorrow. but I cant see charging medicare $500 a month to rent when we need it only occasionally (have a used bigger unit ) I bought. 4 years ago. $450.. but I don’t know if my husband breathes with his mouth or nose, (doesn’t want to get a bipap if he needs it he says) 83 years old. so how can I determine what is the best one to use. have a oxid? finger thing to measure..
(never smoked diagnosed with copd, asthma under control, ) had been using 2-3 setting according to a pulmonary guy 2 years ago, but this new general said 1-2 is fine. looking into the inogen too. I am getting more confused… a little knowledge is dangerous. A overnight test showed my husband stopped breathing several times during the nite.. before we started the oxygen. (uses it just at night) one dr said gene you have to use it 2-3 setting to prevent dementia. another alt med guy told me iam 78) I needed to use at highest setting (what is that) for an hr a day. but my life choice not using due to beeping only goes up to 3 and new ones to a 4.
does medicare pay for you to buy one of these so don’t have to pay $500 a mo rent (we have a secondary blue cross, so its all covered but seems like a crime to do that when its only occasionally to use. Most doctors would recommend a continuous flow setting for night use since most people don’t breathe properly through their nose to trigger the pulse on a pulse unit. Since the Inogen is a pulse only unit it may not work well for him at night. The doctor who oversaw the sleep study should be able to make the best recommendation. Medicare does not pay for the purchase of oxygen equipment; they provide only a monthly rental benefit. Unfortunately, no. Portable oxygen concentrators cannot be used to fill oxygen cylinders. However, since they continually produce oxygen while they are powered and running, cumbersome cylinders are not needed. I am trying to find a portable oxygen concentrator for my dad. He is on 5 liters 24/7. I called about the inogen and they said they don’t send them to people on that high of an amount because they might have to go higher. Any suggestions? For higher volume requirements, I’d recommend a more powerful unit, such as the SeQual Eclipse 3 or DeVilbiss iGo. Both units provide up to Setting 6 on pulse flow, and the Eclipse 3 has even higher settings that are roughly equivalent to 7, 8, and 9. These units also provide a larger puff of oxygen per breath than a smaller, pulse unit like the Inogen. I think simplygo also goes up to 6LPM in the pulse mode? I can’t decide between simply go and elcipse. Yes, the SimplyGo provides up to pulse setting 6; however, it will not be able to accommodate a fast breathing rate at that setting. If the user is prescribed setting 6, I would recommend the more powerful SeQual Eclipse or SeQual eQuinox. Unfortunately, 3 LPM is the highest continuous flow available on portable oxygen concentrators. In order to provide higher flow settings, the motor would have to be too large to allow the unit to have useful portability. However, I have seen a an interesting conserver, called the Oxymizer. It allows you to obtain higher flow settings: “Allows you to obtain the equivalent of 7.5 liters from a 5-liter concentrator.” When used with a portable unit that provides 3 LPM, such as the SeQual Eclipse 3 or DeVilbiss iGo, the Oxymizer may provide the oxygen you need. 84 year old, rather weak, emphysema suffering, non-smoking sufferer needs small portable concentrator. What do you recommend. Depending on the flow setting needed, you may want to look at the smaller units, such as the Inogen One G3 or Inova Activox. These 5-pounds units are usually easier to handle for more frail oxygen users. Are POC`s suitable for people with Pulminary Fibrosis? Only your doctor can determine the best source of oxygen for you; however, as an effective means of delivering oxygen with a purity of 90% and more, a portable oxygen concentrator is a very good option. I’m trying to find a portable O2 source for my father (86 with pulmonary fibrosis). He needs to be on 3-4 Lpm. Currently using the Sequal Eclipse, but it is cumbersome and a fall hazard. Is liquid O2 an option? If so, what companies would you suggest. What about compressed O2 refillable tanks? Is your father able to use a pulse flow? If so, then the Inogen One G3 would be the smallest and lightest portable oxygen concentrator unit that may work for him. It is 6.25 pounds with the large battery, which lasts 6-7 hours on setting 3. You would have to contact a local home healthcare company in your area to obtain liquid oxygen, since it needs refilling a regular basis. The cylinders can be fairly small and some people prefer them over portable oxygen concentrators. The same is true for compressed oxygen tanks, unless you get a homefill system such as the Invacare HomeFill System, which allows you to fill cylinders from an oxygen concentrator. ¿ CUAL DE ESTOS TRES (3) EQUIPOS PRODUCE LA MAYOR CANTIDAD DE OXIGENO: RESPIRONICS EVERGO, INOGEN ONE G2, INOGEN ONE G3 ? Hello. I am a person with cardiac problems. In the past, when driving at high altitudes (above 5,000 feet) I have noticed I have difficulty breathing. We are planning to drive to the west coast and I’d Ike to go to some high altitude areas on the way. What would you suggest is the best type of oxygen equipment for me? I am not a physician and cannot give recommendations on the best type of oxygen equipment for your personal medical needs. However, if you doctor approves, it sounds like a portable oxygen concentrator would meet your needs. Portable oxygen concentrators work on electrical power, battery power, and DC power in the car, so you would be able to make your trip out west without having to worry about running out of oxygen. I’am planing to travel by air and will need a concentrator .I’am on 0 sitting and 5 walking lpm. What would be a good poc for me? You’ll need a unit that is a bit larger to accommodate your need for 5 LPM. Keep in mind that POCs only go up to 3 LPM continuous, so you would be using pulse flow at setting 5. The Inogen One G2 is a nice unit that provides up to setting 5 pulse. If you need a continuous flow option for sleeping, then you may want to consider the Respironics SimplyGo. Is there a model that can be used for transporting residents to/from appointments, such that it’s easy to disinfect between each user and would have multiple users for short periods of time in a long term care application? Any unit could be wiped down with a disinfectant, taking care not to get water in the unit. You would also need to have a new cannula for every new patient. Since machines operate with positive air pressure, the machine itself will not be compromised. The DeVilbiss iGo comes in a wheeled carry bag, which will protect the unit itself from scratches and keep it looking new. I’m on a home concentrator 2 continous flow, doctor said 2 is fine on the portable pulse type as well. I would like to know what the lightest weight one is that also can charge in the car and has an option wheeled type unit available, I cannot carry even the 5 pound for a very long time, but I would need to be able to lift something into the motorized carts at the store and mall. Thank you. The Respironics SimplyGo will meet your needs for both pulse and continuous flow. It is 10 pounds and comes with a cart. It also charges in the car. Supplemental message: In addition, is there also one that meets the above requirement that has the option of continous flow? If so I can do away with the co-pay of my home unit, that will make the purchase of my own unit more justifiable! Thank you…again! The Respironics SimplyGo provides a continuous flow option. However, it is usually best to have a home unit and not rely only on your portable concentrator. Although, if you co-pay is high, you may just want to purchase a home unit. I’ve seen them between $600-$700 and some companies will give you a discount if you buy a home unit with the purchase of portable unit. I am new to the whole oxygen scene. I am just now encountering the travel problems, especially going from high to low altitude (CO to MI). I was excited when I saw your posts about the SimplyGo POC. I cannot, however, find it for less than $4,000! You have indicated one could be purchased for $600 – $700. P-L-E-A-S-E tell me where. I may have mentioned that the EverFlo home concentrator is available for $600 – $700, but the SimplyGo portable concentrator is much more than that. If you search around the internet, you should be able to find it starting around $2,300. Please note that providers are not able to advertise the low prices that they actually sell their products for. Hi, i have COPD and the doc said he will start me on 2 liters a day. What are the best smallest and lightest POC on the market with both continious flow and pulse? The oxygen company wants me to rent one continious for sleep and pulse for daily activities. I think I would come out cheaper better buying just one rather than renting two, besides, I don’t want to sign a 3 year contract. The Respironics SimplyGo is the smallest unit on the market that provides both pulse and continuous flow settings (up to 2 LPM). However, you may still want to purchase a home unit so you are not relying entirely on your portable unit. You can find home units for $600-$700 and some companies offer a discount when you purchase a home unit with a portable unit. My wife has been told by her doctor that she need oxygen therapy at 2 liters flow. We are overwhelmed by all the facts. We were leaning toward Inogen one or activox, but have been told by local dealers that POC’s are not reliable and are prone to failure. We live in a remote area, off the grid and need to conserve power. That’s one of the reasons for interest in POC’s. They use considerably less power. What are your thoughts on the long term use of POC’s? My wife thinks that she will not need oxygen while sleeping. Any help with this would be appreciated. Portable oxygen concentrators certainly have more than can go wrong with them than a home oxygen concentrator does. For instance, they have computer chips and battery charging capabilities. So they are generally not recommended to have as your ONLY source of oxygen. However, I would not say that they are prone to failure. Inogen is well-known for making a reliable machine. Or if you want a continuous flow option, the Respironics SimplyGo also is quite reliable. I wouldn’t recommend using a POC long-term 24/7, but if you wife is only using it at times during the day, then I see no problem using it long-term. Though they may need repair once in a while, POCs are designed to last for years. If her oxygen needs increase to 24/7 need, then I would definitely recommend a home unit or oxygen tanks as a back-up. Allison – need some advice, please. My pulmonologist has suggested I get an oxygen concentrator for nocturnal hypoxemia. He suggests to start 2L/min overnight. I had a machine from a local provider which was so noisy I could not sleep. They then suggested that I drill a hole thru my bedroom wall and run the tubes thru it from another room. Not a viable option – I know there are machines out there with low decibles. Can you suggest a machine with low noise that will provide the oxygen I need? Homecare providers often provide older oxygen concentrators that are 50 pounds and 50 decibels. There are much smaller and quieter home units on the market today – as light as 30 pounds and 40 decibels. The Respironics EverFlo Q (Q stands for Quiet) is a small, quiet unit. The Invacare Perfecto2 W (W stands for Whisper) is also very quiet. Both of these units provide up to 5 LPM. If you are looking for a portable oxygen concentrator that you can travel with, then you can expect a little more noise. The Respironics SimplyGo is 43 decibels at 2 LPM continuous. Portable oxygen concentrators runs much harder on continuous flow than on pulse flow, which wears down the battery quite fast. For instance, the SeQual Eclipse 3 will last 1.3 hours on 3 LPM continuous and 4 hours on 3 pulse. For a 12 hour flight, you would need 18 hours of battery time. On pulse flow, this would be 5 batteries, but on continuous flow you would need 15 batteries. I recommend you talk to your doctor and see if you can use pulse flow while on battery power and then switch to continuous flow when you are able to plug the unit into an electrical outlet. i RECENTLY MOVED TO CA. FROM COLORADO WHERE I WAS PUT ON OXYGEN FOLLOWIMNG LIUNG SURGERY AND HAVING COPD. I DO NOT NEED OXYGEN HERE EXCEPT NAS AN EMERGENCY BACK-UP’ I AM PLANNING A VISIT BACK TO CO AND WILL NEED OXYGEN AGAIN. ARE ANY OF THESE PRODUCTS AVAILABLE THRU MEDICARE? THEY DID FUND MY OXYGEN NEEDS IN CO. THANK YOU, LOOING FORWARD TO HEARING FROM YOU. Medicare does not purchase oxygen equipment; they provide only for a monthly rental benefit. I recommend you contact the local homecare companies in your area to see what they are willing to provide under your Medicare benefit. Since you do not need oxygen 24/7 you may not qualify. Also, many homecare companies do not offer portable oxygen concentrators and many people need to purchase their own unit out-of-pocket. With a trach you would need a portable oxygen concentrator that provides a continuous flow of oxygen. Currently, the POCs that provide 3 LPM are larger, 17 to 20 pounds. These includes the SeQual Eclipse 5, DeVilbiss iGo, and Oxlife Independence. All of these units have a cart, though I am not sure if they are less cumbersome than your tanks. There is a new concentrator on the horizon, the SeQual Equinox. It will provide up to 3 LPM and will weigh less that 12 pounds. This new unit might be just right for your needs. I find that oxygen concentrators are good prophylaxis procedure for people. As I read a 10-15 minute session daily can provide good energy through out the whole day! That is better then drinking coffe, drinking energy drinks and so forth! I am thinking an opening a oxygen bar with aroma stations! Can you recomand a non-medical concentrator, and is it best to have just one concentrator or better to have 3-4 but to serve each person individually? I am only familiar with medical concentrators and, unfortunately, do not have much information regarding concentrators for oxygen bars. I do know that SeQual makes a non-medical concentrator called the Regalia. That may be just what you need. Hello Allison, My husband was recently diagnosed with Pulmonary Fibrosis, along with Lupus. We currently live part-time on both coasts and so fly frequently. He uses 2 lpm 24/7. It is okay for him to use pulse during the day but is required to use continuous for sleeping. Which pulse/continuous flow POC would you recommend for air travel? Thank you. The smallest and lightest POC that will provide both pulse and continuous flow is the Respironics SimplyGo. This POC weighs 10 pounds and provides up to 2 LPM continuous. If you are looking for a unit that has a bit more power, then the current SeQual Eclipse 3 or 5 would be a great choice. Or if you are willing to wait a few months, the new SeQual Equinox is expected to be available soon. It will provide up to 3 LPM continuous and weigh about 12 pounds. I was in a bicycle accident, had 32 broken bones, 19 broken ribs, 5 broken vertebra, pneumothorax. I am very active, ride my bicycle still and hike mountains in Colorado. After my latest Pulmonary Function Test, I have been told I will need to move to a lower elevation as the damage to my lungs are permanent. I am on night oxygen at 2 and oxygen with exercise. Nebulizer,three times a day. Right now I just strap a small tank in my backpack and mountain bike, road bike and hike. My oxygen company said the tank is lighter. When I am on my bicycles, I can just strap something to my bike. Hiking at the elevations I hike is no longer an option for me. I am 52 and female. What is the best POC for me? Exercising at this elevation 6,500-13,000. I am going to move to lower elevation, I just have to sell my home. I have insurance too. I think these units are covered for me. I will have to check. My medical bills alone where over $1 million last year. The Respironics SimplyGo might be a great unit for you. It provides 2 LPM continuous for night use and is small enough to strap onto a bicycle. In fact, you may find this story interesting – Mark Junge. Please note, the SimplyGo is effective up to 10,000 ft. If you have a need for higher elevations, then a larger unit, such as the SeQual Eclipse, would be most effective. I know Mark Junge has used this unit in the past. I have sickle cell anemia and require oxygen only when flying on planes. I recently got a job that will require me flying several times a month and renting a POC for each trip is no longer cost effective. I need 2 Lpm in flight only. I need a lightweight, reliable POC with at least 5 hrs per battery. The lighter and smaller, the better, as I will be traveling alone and prefer it nondescript, professional, and compact. Budget is unlimited. What do you suggest? Thank you so much. You may want to take a look at the Inogen One G3 with the 16-cell battery. This is a small unit, weighing only 6.25 pounds with the 16-cell battery. The battery will last up to 8 hours on setting 2 so there is no need to fuss with changing a battery mid-flight. I need constant flow of 3 litres during exercise (which I try to do) and while sleeping. I need to find a small unit that I can travel with (I live and travel in Colorado). Do you have a recommendation of a small portable concentrator that will work for me? Currently, the units that provide 3 LPM continuous flow are 18-20 pounds. These would include the SeQual Eclipse and DeVilbiss iGo. However, SeQual will soon be introducing the new Equinox, which will have all the power of the Eclipse in a 12-pound unit. I do not know the release date, but it may be as early as next month. HI! MY DAUGHTER IS ONLY 12. SHE HAS SICKLE CELL TRAIT AND IS AN ATHLETE THAT WORKS OUT ALL THE TIME. SHE ALWAYS SEEMS TO HAVE MAJOR TROUBLES BREATHING WHEN SHE WORKS OUT HARD. WHAT PORTABLE MACHINE WOULD YOU SUGGEST SHE USE FOR JUST THOSE QUICK MOMENTS THAT SHE NEEDS OXYGEN AND QUICKLY AFTER HER RACES? Unfortunately, without know what oxygen level her doctor has prescribed, I am unable to provide any assistance in helping you find an appropriate unit. If you provide me with more information, I can point you in the right direction. My father currently uses a large oxygen machine (continuous flow at about 2.5 lpm) at home for which the medical aid pays. It seems like the medical aid will only pay for an oxygen machine if it is the primary machine and (I think) does not exclusively work off of a battery. We are looking into getting a portable one for him and I was wondering if there is an all-in-one solution, i.e. a portable machine that can also replace large primary machine at home. I see even the Phillips SimplyGo machine is advertised along with the EverFlo which makes me think that you’ll need both. Obviously if these portable machines are made for constant and continuous use like the large primary machines, we’ll be forced to get both. But I simply don’t see the point of having 2 machines if one can do the job! We are based in South Africa and I can understand that options may be limited. Are these 2 in one machines available? Can you please make a suggestion? 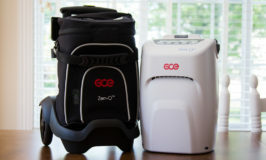 A portable oxygen concentrator that provides both pulse and continuous flow, such as the SimplyGo, may be used as an all-in-one machine. However, it is generally not recommended that you rely on a portable oxygen machine as your only source of oxygen for long-term use. Home oxygen concentrators have a much more robust motor that can withstand constant use. Most people use a home unit for sleeping and while at home, and save their portable concentrator for daytime mobility and traveling. The SimplyGo and EverFlo are a great combination. Hi, my 2.5yr old has been diagnosed with sleep apnea and has been put on 1L via nasal cannula while she sleeps (I am assuming at a continuous flow). We had to deal with larger concentrators when her lungs weren’t doing as well (she was a preemie and needed extra help) but we don’t want to have to live with what sounds like a run-down car running in the room next to her again. I’m wondering if any portable concentrator can be used on pediatric patients – I’d like something as small and quiet as possible. Our DME isn’t really helpful with suggestions, so I’d love to have some to run by them. Thank you for any suggestions you might have! The larger concentrator you had in the past may have been an older 50-pound/50-decibel unit. The newest home oxygen concentrators are only 39-40 decibels, which is surprisingly quiet. No portable concentrator is quite that quiet, but the SeQual Eclipse comes pretty close. The home oxygen concentrators and the Eclipse will provide 1 LPM continuous flow for your daughter’s oxygen needs. Thank you! I found the thread on concentrator sound levels and was wondering if you have a preference as between the EverFlo Q and the Invacare Perfecto2 Whisper? The latter looks to be heavier and require more frequent filter cleaning, but other than that are they similar in terms of servicability, frequency of technical issues, etc? Thanks again! They are both good units are far as durability and serviceability. The most important aspect with regard to service is to make sure you purchase your unit from a reputable Authorized Dealer. The manufacturers do not take repair requests directly from an end-user, only from a dealer, so you want to be sure your dealer can be relied upon to provide service support, if needed. Hi! I am on 1-3 liters via pulse (depending on my activity level) and am looking for a reliable, but lightweight, portable concentrator with a long battery life. Is it possible to find all 3 of those things in one unit? I have been using the Airsept freestyle and it is light enough and has a great battery life, but unfortunately I have had unit after unit die on me in a short period of time. Not sure if I have just had bad luck or if Airsept is not as reliable as I had hear they were. Now I have no idea what brand to even try. Any help insight would be very much appreciated! The AirSep is a quality unit, so it is unfortunate that you had a bad experience with it. You may want to take a look at the Inogen One G3. It meets your oxygen and portability requirements quite nicely. Are there units available that you can put on your back and work with? I live and work in the mines as a cleaner, so I need clean air and protection from dirt, dust, coal, plus the chemicals we use on a daily basis. Yes, there are portable oxygen concentrators that can be carried on your backpack. The LifeChoice Activox comes with straps that convert the carry bag into a backpack. And the Inogen One G3 has an optional backpack that can be purchased. Both of the units are 5 pounds. Apart from the requirement of needing a doctor’s prescription, my concern would be the environmental air. Since portable oxygen concentrators produce oxygen by concentrating the air that is sucked into the machine, the filter would be clogged quickly, and there could be internal damage. Not that an oxygen concentrator would not assist you in breathing cleaner air, but the machine itself may not last as long in such a rigorous environment. I recently bought the backpack mentioned above and found it to be very unwieldy and awkward to use. It is also very restrictive. I find it much preferable simply to use the long shoulder strap. The backpack was a disappointment. We are looking for portable oxygen for my mother, 89 years old, frail and weak, but mentally all there. We are trying to place her in an assisted living near our house that doesn’t have a LSN license and therefore are not allowed to handle her oxygen. She needs something that can get her through the 3 meals a day in the dining room, preferably something that could last for 2-3 days in case I am gone for a weekend. She is on 2 LPM continuous flow. Would an on-demand setting work when a person is eating? I would imagine you don’t breathe through your nose when eating and continuous flow might be needed? We would need to attach it to a wheelchair somehow. Thank you for such an informative website any help you may offer. You would need to consult with your mother’s doctor for approval of a pulse flow; however, since the mouth is usually closed to chew food, breathing through the nose is quite normal during eating. Depending on how long her mealtime is, it is doubtful any battery would last long enough to handle 3 meals per day for 2-3 days. The Inogen One G3 has an 8-hour battery, which would be sufficient time if her meals were 45 minutes or less. Otherwise, all POCs come with rechargeable batteries that would charge automatically when the unit is plugged into an electrical outlet. If she must use continuous flow, then the SeQual Eclipse is a nice unit. The battery lasts 2 hours on setting 2, so it would have to be recharged between one of the meals. It also has an optional wheelchair holder. My concern with a larger unit is that your mother would not be able to take it our of the wheelchair holder on her own to plug it in. With a smaller unit, such as the Inogen One G3, she could probably keep it on the seat next to her and hopefully would be able to plug it in on her own when she returns to her room. Have opportunity to buy an aprox 4 yr old (purchaed in 2009)Sequel Eclipse 2 poc gently used ( about 4 times) from a friend. Its for my Mom who uses O2 nightly and wants freedom to fly vs drive. It comes with cart, ac/dc cords and extra battery. What is the life of these unitsmif taken care of properly? What is a fair price assuming it is in good condition? Thank you for your insight. I have several concerns about an older concentrator that has had little use. First, the unit would be out of warranty, so any repairs would be an out-of-pocket expense for you. You should be able to get several more years out of the unit, but if repairs are needed, they may cost anywhere from a couple hundred to around one thousand dollars. This is something to keep in mind when you are negotiating a price. I have limited knowledge of pricing used equipment; however, I would think somewhere in the $500-$800 range would be appropriate for this unit. Second, concentrators are like automobiles – it is not wise to let them sit for months or years at a time without running them. The sieve, where the oxygen is concentrated, has a substance that can settle to the bottom and prevent the unit from maintaining proper oxygen purity. Before purchasing, I recommend that you run the unit on 3 LPM continuous flow for several hours. Go ahead and test the battery while you are doing this. If the Low O2 alarms sounds, then turn the unit upside down to see if gravity will help get things moving in the sieve. (I know this sounds crazy, but SeQual Technical Support recommends this.) If after several more hours the unit continues to give the Low O2 alarm then it would need repair. If it runs for several hours with no alarms and the battery is draining and charging properly, then you can assume you have a unit that is in good working condition. Finally, just a note, you can check to see how many hours an Eclipse has been run. To the left of the On/Off button is a picture of a No Smoking symbol. If you push that symbol, while the unit is running, the display will change. I think the first thing that comes up is the hours; it will say H=###, which is the number of hours on the unit. If you keep pressing the button, it will scroll through a number of settings that you should not change unless you know what you are doing. One of the screens will say Alarm=###. After the unit has warmed up, after 10 minutes or so, the alarm code should be 000, which is All Normal. If you get 008 or 004, then the unit has a Low O2 alarm, with the yellow light blinking for 008, or the red light blinking and the alarm beeping 3 times every 2 minutes for 004. The portable oxygen concentrators that I am able to find on eBay are made by Chinese manufacturers and sold by companies/individuals located outside the U.S. I would not expect these sellers to provide the necessary technical support and warranty support that is needed with the purchase of a portable concentrator. You would be taking a risk purchasing an oxygen concentrator from an auction site, such as eBay. Oxygen concentrators, such as the EverGo, are made by U.S. companies that have proper warranty support and service. These concentrators are also approved by the FDA and FAA. What about the SeQual Focus for shopping, lunches, air travel ? The AirSep Focus is the smallest portable oxygen concentrator and provides a pulse setting of 2 only. For those who need oxygen at pulse 2, the Focus can be a great concentrator because it is so small and lightweight. Each micro-battery lasts 1.2 hours and two micro-batteries come standard with the Focus. For shopping or lunches, this unit would be great. However, for air travel you are required to have enough battery power for 1 1/2 times the duration of the flight. Therefore, you would need quite a few micro-batteries, or the AirSep AirBelt, for most flights. I am on Medicare only…I have heard that portable concentrators are uncovered by Medicare. Is this true? Are there any other options? I am on 24 hr oxygen. Thanks. The answer is yes and no. Medicare does not purchase oxygen equipment; they only provide for a monthly rental benefit. Technically portable oxygen concentrators may be billed to Medicare under billing code E1392. However, Medicare only pays a fixed amount per month regardless of whether you are getting an inexpensive oxygen cylinder or an expensive portable oxygen concentrator. Therefore, home health care companies that handle Medicare billing usually cannot afford to give you a portable oxygen concentrator for the amount they are given by Medicare. Thus, while POCs are technically billable under Medicare, in the real world it is rare to find a company that will do the Medicare billing for a POC. Most people find they must purchase their own portable oxygen concentrator. Can you help, my good wife needs O2 for 24 hours day at 4 litres per minute. She has IPF and a bad case of nagging me to get the right oxygen for her to travel with. We live in the United Kingdom and need the right advice on what to buy so we can travel to my other home in the US of A…. Unfortunately, there are not any portable oxygen concentrators that will provide continuous flow oxygen at 4 LPM. The SeQual Eclipse is the most powerful unit on the market and it provides up to 3 LPM and pulse settings up to 6. The SeQual Eclipse would probably be a good unit for your wife, but you should confirm this with her doctor. The Eclipse is available in the UK. You can contact SeQual (the manufacturer) in Europe at Tel: +44 (0) 1344 403100 for dealer information. My brother needs a portable oxygen concentrator with 2 to 5 oxygen per minute. His work demands him to travel a lot by car, which machine would you recommend that would be more suitable for him? If he needs a unit that will provide a continuous flow, then the Respironics SimplyGo or the SeQual Eclipse 5 would be good choices. If he is looking for a smaller unit and needs only a pulse flow, then the Inogen One G2 would be a good option. Are any of these units covered by medicare? Sorry I see that this was already answered. True! A liquid oxygen system does offer that higher level of oxygen. Liquid oxygen is a good option for those who have greater oxygen needs; but it has its limitations, especially for travelers. Since liquid oxygen must be refilled and is not FAA approved, it is best for those who stick close to home. Do you know when the SeQual Equinox will be released? My husband has COPD, pulmonary fibrosis and lupus and needs something very lightweight that provides both continuous and pulse flow. Thanks so much. The latest I’ve heard is some time in the new year, most likely not until spring. seeps through the tubes and very expensive when renting on a monthly basis. Only use the device at night and looking for something to buy so this one can be returned. Any suggestions…………………………. I like the ones that use H20, but do not leak through the tubes. Water will seep through the tubing if the humidifier bottle is too full, or often during cold weather months if the tubing is running along a cold floor. The condensation can be somewhat prevented, but is not the fault of the concentrator. When you say “smaller concentrator” how small are you wanting to go? The lightest home concentrator is the AirSep Visionaire at 30 pounds, although it is not much smaller that the Perfecto2. There is also the SimplyFlo, which is a travel-sized concentrator that weighs only 8.5 pounds. However, it provide oxygen only up to 2 LPM. I have a humidifier bottle that also pushes water up the tube. It is irritating and problematic. I have a water trap that you empty that helps block the water from making it as far as the cannula but sometimes water gets by and the danger of aspirating some into the lungs becomes a real problem because I easily develop aspiration pneumonia. I have a good tight fitting hose and a carpet so I can’t figure out what is happening but if anyone has a possible answer for me I would appreciate it. I really need the humidity for my nostrils and sinus but not into my lungs. Water in the oxygen tubing is a common problem, especially in colder climates because the air will condense faster in colder temperatures. If you are in a northern state where it is cold the tubing is probably still getting cold even with carpet. First, check your humidifier bottle. People often fill them too full so that they don’t have to fill them as often. It is best to keep the volume of water lower, even if you have to fill more frequently. That may solve the bulk of your problem. You can also try to keep the tubing warmer. Perhaps bump up the thermostat a notch or two, and make sure the tubing isn’t running across doorways where there may be a draft. Unfortunately, there are no perfect fixes to your problem, but hopefully these tips will help. I hope to purchase a poc soon. I am having trouble decideing between the Inogen g3, the XPO2 and the Inogen G2. The company that I rent my home concentrator from flat out told me that no POC is reliable enough to use as they all are known to break down and I should just stick with tanks. I find this very difficult to believe. I would like your opinion. I can’t find actual testing and comparison sites on the internet that compares units independent of dealers or retailers. Also I see the importance you stress about buying from a reputable dealer. Do you have a link to a list of known reliable dealers. Thank you for providing this great service. Obviously a portable oxygen concentrator is a machine and they can break down. There are a lot more components to a POC so the break-down rate will always be higher than for a tank, which usually only has a failure in the regulator/conserver. However, most people find the benefits of POCs far out-way the risks, though it is common to continue to keep a tank handy in the event of an emergency. The Inogen units and the XPO2 are all pretty reliable, with the G2 having the fewest service issues in my experience. With regard to a reputable dealer, I do not have a list of links, but have found that OxiMedical.com is perhaps the only dealer that meets all the requirements I recommend. Since there are so many variables that go into choosing the best oxygen concentrator for an individual, you won’t find a one-size-fits-all POC that could be used for all your boss’ patients. However, if you need a unit that provides continuous and pulse options, the Respironics SimplyGo is a good option. It only goes up to 2 lpm, but is small enough for most peoples mobility needs. If you are looking for a smaller pulse only unit, the the Inogen One G2 or G3 are good options, the key difference being the number of pulse settings each provides and the size and weight. I am based in Mumbai, India. I have recently been diagonised with advanced ILD. I am required to be on oxygen throughout the night and for about 4 hours or as the case may be during day time. I am considering buying a poc like Eclipse 5. Will it work on continuous basis overnight supplying 2 Litres per minute or you would recommend buying a normal continuous flow OC together with something like Free Style pulse dose poc for outdoor use? If you plan to do a lot of traveling, the SeQual Eclipse 5 is nice because it provides both pulse and continuous flow. It can be used for the 12-14 hours per day that you would require oxygen and still last for years. They drawback is that it is 18 pounds and is not as easily portable. However, if you do not travel, then it may be more convenient to use a home concentrator for your night use and have a smaller unit to carry during the day. The FreeStyle 3 is less than 5 pounds and it easy to pick up and go. Have a inogen 3 when travel in airplane oxygen falls to 84 what can I do to keep it above 90 what machine to get??? Are you already using the maximum flow setting on your Inogen G3? If not, increasing the flow setting would be your first option; however, keep in mind that you may need additional batteries. If you are already using the maximum flow setting, then a more powerful unit would be necessary. If you are looking into a smaller unit, the Respironics SimplyGo may be a good option. If weight is not as much of a concern, the SeQual Eclipse 5 is the most powerful unit, providing the greatest amount of oxygen per breath. You may also find this article helpful for understanding how pulse flow settings differ among POCs. Out of the list below of FAA approved POC’s for airplane travel, which ones you recommend as best ones? Patient just recently got her prescription for oxygen – dosage 2, usage 4-6 hours day/night. Patient is currently using the home oxygen tank for about 3 -4 hrs /day for about 5 days. Thanks so much in advance. Respironics EverGo, manufactured by Respironics Inc.
Respironics SimplyGo, manufactured by Respironics Inc.
SeQual Eclipse, manufactured by SeQual Technologies Inc.
SeQual SAROS, manufactured by SeQual Technologies Inc. If continuous flow is needed for night use, then the smallest and lightest unit would be the Respironics SimplyGo. If she can use pulse only, then several units would meet her needs: Inogen One G2 or G3, and AirSep FreeStyle would be my top choices. My daughter is on 2 lpm. We would like to buy a poc for travel of trips lasting 1-2 weeks. We would like to have the poc be the 24/7 unit while on the trip. which unit do you suggest? Also, in reading comments on this site I wonder which is the best way to purchase a unit: through a local medical equipment company or directly from a company on the internet? Since your daughter will be using the POC 24/7, you would need a unit that will provide a continuous flow setting for night use. The smallest unit available that will meet her needs is the Respironics SimplyGo. It is a 10-pound unit that will provide up to 2 LPM continuous and has pulse flow settings up to 6. A local medical equipment will be able to provide the convenience of being nearby if a service issue arises; however, you can expect to pay considerable more money. An authorized internet dealer would not be local to you, but would have much lower pricing. If you do your homework, you can find reputable internet dealers that will provide great service. My article on warranties offers tips on what to look for in a dealer (applied to local or online retailers). Do you have any review or opinion of the EASY POC ? I mean it seems to be that it uses some kind of new specific technology that sends u the air when u breath but im not sure, i know that pretty much sounds like pulse flow but Im not sure if in the case of this device that one is used for the continuous flow (something like a mix of both systems). Could you give me some light please? Also. Do you know of any retailers or providers that can send me their product to México? Thank you so much: I truly believe you are making many people life’s easier specially in difficult moments. Do you mean the EasyPulse POC from Precision Medical? If so, then it is definitely a pulse only unit and does not provide a continuous flow setting. If you are referring to another unit, then I’m afraid I have never heard of it and am unable to find it on the internet. For service to Mexico I recommend contacting the manufacturer of the unit that interests you and they should be able to provide a list of providers. How do you know if you can use a pulse? I am on 3-4 liters continuous flow for at-home use, but maybe for going out a pulse would suffice if I get one that goes to 3. Where/how to try out? Most people are able to use pulse flow during the day. The easiest way to test it if you currently use oxygen cylinders when you leave home is to request an oxygen conserver for the tank. You would first need to speak with your doctor who may be able to test your oxygen levels on a pulse flow in the office, or provide the order for a conserver. My son requires oxygen at night and breathes thru his mouth most of the time. He requires 4 leters how ever it is measured. We travel a lot and I saw someone with a portable unit and was wondering if there is one with 4LPM and can be used with electricity and battery? Unfortunately, there is no portable oxygen concentrator that provides up to 4 LPM. The highest continuous flow setting that a portable unit will provide is 3 LPM. If you are only using continuous flow at night when you have access to electricity, then the battery life would not be a concern. You would use the unit plugged in while on continuous flow and on battery power while on pulse flow. If you do need 3 LPM while sleeping, then the SimplyGo will not produce enough oxygen to meet your needs. Getting the sleep test that your doctor recommended would be important before making your final decision. If you can get buy without oxygen at night, or if you can reduce the setting to 2 LPM, then the SimplyGo would be a good option. During the day, while on pulse, you would get 2 1/2 to 3 hours on setting 4. The new SeQual eQuinox will be a nice unit – powerful enough to provide 3 LPM continuous and only 14 pounds. However, prices are being released and it looks like it has a starting price of $3,995. hello, i came across one of these machines in a sale, and am now researching it where can i sell it? and do they have a good resale value? I see a lot of listings on Craigslist. This may be your best bet. Resale value would depend on the model, age, and condition of the unit. I’m on oxygen 24/7, currently @ 6 lit. continously. Are there any portable liquid units that go above 6 lit, either continious or pulse? If not, what is the solution for being able to get away, dr. appt. etc.? I am not very familiar with liquid systems; however, it looks like Caire, Inc. has a high flow liquid system called the Stroller. You may find this brochure helpful. hi, Im a biomedical engineer student and working in a project, I need to build an oxygen concentrator. i have been investigating and find out that almost all the oxygen generators work with zeolite bed, and the air pass trough these beds. but i don’t find the information about the air pressure that you need to apply in this beds to get concentrated oxygen. could you help me with this information? or could you provide me with some sources (books or webpages) where i can get this information? Unfortunately, I am unable to assist you. Your question is beyond the scope of this blog and beyond my knowledge of oxygen equipment. As the air becomes thinner it becomes more difficult for a concentrator to produce oxygen purity above 90%. When above 10,000 feet, the Inogen will continue to concentrator the available oxygen, but will most likely give an Oxygen Low alarm indicating that the purity is below 82%. I do not know how low the purity will go, but perhaps Inogen will offer you more specific figures. A larger unit such as a SeQual Eclipse, though not easily portable, will assure oxygen purity above 90% up to 13,123 feet. I recently have gone on the Inogen portable and at a 5 setting but I have had three units so far and all have been faulty. This last one seems to be the best but I find in all three units when I drive up hill or make some turns my oxygen doesn’t go on when I take a breath. Is this common? Yesterday going up hill I took 7 breaths before I got oxygen. Fortunately when I am sitting my oxygen level is pretty good even without oxygen on but I am concerned with the machine. I love it as I can do more but the batteries only last me a couple of hours so I always have to have extras and I also had to rent my own large tank for emergencies like a power outage. It sounds like there is a power issue with your car. When you go up hill or use other electrical features of your car, the car steals the power that is usually gives to your DC outlet and uses it for other electrical components. In the past I have only heard of this happening with larger units, such as the SeQual Eclipse. Assuming you have the battery attached to the unit, the unit should notice the lack of power through the DC cord and start using the battery power, but I’m not sure how quickly that happens and the car may fix itself before it can switch to battery power. Unless you bought the unit directly from Inogen, they will usually not talk to an end-user. However, this seems like an odd problem for that particular unit. I recommend trying it in another vehicle first if you have the opportunity to do so to see if perhaps your vehicle is the cause of the problem. I have a question about POCs and ventilators. My son has Muscular Dystrophy and just had a trach put in. He will need a ventilator 24/7 and will be on Spontaneous during day and SIMV at night. He needs between 1.5 to 2 L of Oxygen continuous. They suppliers want to get a stationary concentrator for home and tanks for outside the home. He loves outdoor time and so we are looking for a solution for the oxygen that will get us 6 hours of “freedom”. I am getting the line “Portable Oxygen Concentrators will not provide 2 L continuous and are very unreliable” for the supplier. However, when I look online I see units that can provide that amount and provide battery backup or could be hooked to his wheelchair. What are your thoughts? Portable oxygen concentrator will absolutely provide 2 LPM continuous just like home concentrator. The SimplyGo is the smallest and lightest unit and will provide up to 2 LPM. The drawback is that the battery lasts only .7 hours at 2 LPM continuous. The DeVilbiss iGo has the longest battery time of 2.4 hours on 2 LPM continuous. Three batteries would give you the 6 hours of freedom you’re looking for and the unit would fit on the back of his wheelchair using the SeQual Eclipse Wheelchair Pack. Both of these units have a good track record for reliability, although you can certainly have a tank handy as an emergency back-up. I suspect your supplier doesn’t carry POCs and is trying to steer you away from them so they won’t lose your business. My Mother was diagnosed for IPF in 2012. Sometimes she feels problems during breathing and walking. Please suggest 2 separate “Portable Oxygen Concentrators” for “Home use” and “For Travelling” along with sources & costs. I would need to know what your mother’s oxygen needs are before assisting you. What oxygen flow setting has the doctor prescribed? Nice Article.. Choosing the Best Portable Oxygen Concentrator is not easy. As a rule of thumb, all supplemental oxygen devices that are capable of continuous flow are designed and calibrated to deliver flow in liters per minute. This traditional designation has been used for well over 70 years. In the hospital you may recall seeing oxygen flow meters plugged into the wall outlets located at the head of the bed. These flow meter devices deliver continuous flow and are calibrated in liters per minute. I am on oxygen 24 /7 at 4 lpm. I can go down to 3lpm. While I’m sitting. I usually keep it at 4 because I’m always going up and down doing things around the house. I have a home concentrator and use a ventolator at night because I’m a mouth breather. i need a suggestion for s lightweight unit that i can handle on my own to go to stores etc. For your night use, as a mouth breather and a ventilator user, you would require a continuous flow of oxygen. Unfortunately, portable oxygen concentrators provide a maximum of 3 LPM continuous. However, I am not certain based on the information you provided if you require continuous flow during the day when you go out. Do you breathe through your mouth during the day as well? If so, then there is no lightweight solution. The new SeQual eQuinox is the smallest and lightest unit that provides up to 3 LPM; it is 14 pounds. Much less expensive, but 4 pounds heavier would be the SeQual Eclipse 5. If you can use pulse flow during the day, the Inogen One G3 is the smallest portable concentrator that will provide a pulse flow up to setting 4. Even better is the Inogen One G2, which provides up to pulse setting 6, but is a couple pounds heavier. My mother was diagnosed with lung cancer a couple of mos ago. I used the Sequal 3 to bring her to my town, on Amtrak. I have become attached to it and hate switching to oxygen tanks or a different brand. The place I’m renting from has offered to sell it, along with the 2 batteries, at a “used price”, which would save me the week I’m about to pay for, and also the first weeks rent, which they will credit. Mother is on 2L. I have no idea how often we’ll be going out, probably not much, but I’m used to it, for Dr. visits. Plus it is backup if power goes out at Assisted Living. Sound like a plan? I have to decide fast. Yes, it sounds like you have a good plan. Be careful of the price (you should be paying in the neighborhood of $1600 give or take a couple hundred for a used Eclipse 3). Even more, be careful of the warranty. Is the company providing a warranty with the unit? How long? Will they be available and assist you with warranty repairs? You might find my article on your dealer useful in making your final decision. Hi great blog and you are very helpful! Hopefully you can assist me as i am slighly confused by a few things. On an oxygen cylinder flow is labelled as liters per min. The thing is, I for example am on 4 liters continuous sitting down. So what ML would that be as a bolus? Because every concentrator has different numbering for example level 5 pulse on one could be 42ml and on another level 5 could be 36ml etc how many ml shot is equal to X lpm? I am finding this very difficult to find out which concentrators fit my needs. Currently if im home all day i will use my concentrator on 4lpm continuous. But if im moving around or go outside i use an oxygen cylinder with a pulse conserver attached and it normally use it at 5lpm pulse shot when moving and max 6lpm pulse shot. Is there anything that can do what i need or come fairly close whilst being light and small and having good battery? It is confusing! You may find this article that I wrote helpful. If you are using 4 LPM continuous and you breathe an average of 20 breaths per minute (once every 3 seconds), you would receive only 1/3 of the oxygen. Since 4 liters is 4,000 mL, you are actually inhaling about 1,333 mL per minute. So if the concentrator provide a bolus of 42 mL and you breathe 20 times per minute, you would inhale 840 mL. When oxygen needs are lower, such as 1 or 2 LPM, the smaller mL delivery is usually not an issue and most people use the same pulse setting as they would continuous. However, when higher levels of oxygen are needed, the smaller bolus can have a impact. In your case, I would not recommend a small, pulse only unit because they provide a much smaller bolus at each flow setting. Instead, a more powerful unit, such as the SeQual Eclipse 5, is needed to provide a larger bolus. For instance, the Eclipse 5 at pulse setting 4 produces 64 mL per breath, which would be 1,280 mL at 20 breaths per minute. The Eclipse gives the closest equivalent to continuous flow at each setting. The Oxymizer is a continuous flow conserver. It receives a continuous flow of oxygen from the concentrator and holds it until you take a breath. This allows you to receive a level of oxygen that is higher than the unit is set to delivery. For instance, at 3 LPM, you would receive roughly 5 1/5 LPM equivalent. The Oxymizer will only work with a unit that is on continuous flow and does not work with pulse flow settings. You are brilliant! That makes a lot more sense now and everything is a lot clearer! I saw the one you suggested but that would be too large for me to carry around as ideally it has to be smaller and weigh the same or less than my cylinder. What do you think? So far its the only one i can see that meets a high bolus output and amazing size and weight? The Inogen One G2 is a nice unit for its size. It provides the highest mL of all pulse only portable concentrators. I HAVE A HYPERSENSITIVITY TO MOLD REQUIRING THAT I STAY INDOORS. I AM AN AVID GARDENER AND LOVE WALKS IN THE WOODS WHICH ARE PROHIBITED BY THE DOCTORS BECAUSE OF A HYPERSENSITIVITY TO MOLD. A POC THAT FILTERS OUT THE MINUTE MOLE SPORE PARTICLES WOULD BE THE ANSWER TO A MORE NORMAL LIFE STYLE FOR ME. I REQUIRE OXYGEN AT LEVEL 2 FOR HIGH ALTITUDES AND OCCASIONALLY DURING THE HIGH MOLD AND POLLEN SEASON. Thanks for providing this forum and for all the helpful tips and resources. I’m a bit overwhelmed with all the data so would like to ask for your direct recommendation. My father is in his early 80s and requires 24/7 oxygen at 2LPM. He uses a walker at home and we push him in a wheelchair when we need to get him around quickly outdoors. Not sure if his prescription will change in the future. He can’t use pulse flow, only continuous flow oxygen. Typical outdoor excursion/appointments are for 2-5 hours duration and occasionally we have full day outings but never too far away from power source (car/wall jack). Looks like SimplyGo might be the best option for a lightweight, compact POC but I’m concerned he may need higher level of oxygen in the future. What do you suggest? I read somewhere SimplyGo has a short battery life so maybe 3 battery packs would be safer when he’s on the go. I think anything too much more than 10 lbs will be too heavy for my dad (he has a weak back and arthritic knees). Also what accessories do you recommend for my dad to use the POC while using a walker and while we push him in a wheelchair? He can not pull a cart; he already has trouble keeping himself in balance while walking. Also it looks like Medicare will only pay a very small portion of rental fee only so seems it will be more economical to purchase retail. If you can recommend any dealers that delivers to San Francisco, CA, that would be great. Please respond ASAP. Thanks! The SimplyGo would certainly be the smallest and lightest unit that provides continuous flow at 2 LPM. The only drawback is the batteries last only 40 minutes at 2 LPM, so even 3 batteries would provide only about 2 hours. However, a larger unit such as the SeQual Eclipse 5 would weight 18 pounds, which seems to be too heavy for your father. I recommend you purchase a unit from a reputable dealer, such as OxiMedical.com, that offers a trade-in program in the event your father requires a higher oxygen flow in the future. I have also heard they have custom accessories for using a POC with a walker or wheelchair. I have an inogen POC it is very loud and I would feel like the whole store is watching me if I had to take it any where around people. Is there a more quiet POC? I am guessing you have the Inogen One G3, which has a loud purging sound. If the additional weight would not bother you, the larger Inogen One G2 is very quiet – the quietest on the market, I think. If you are looking for a unit as small as the G3, then the LifeChoice Activox or AirSep FreeStyle 3 would be quieter options. I am trying to decide if it is more beneficial to purchase a home concentrator and a portable unit. My dad is on 3L/nc of continuous flow. When he goes to his cardiac rehab program, they put him on 5L during exercise. I would like a lightweight, portable, long battery life, so that maybe he can get back to playing his golf 3 days a week. I know I’m asking for a lot here and it may not exist! Unfortunately, you are correct in guessing that a small, lightweight, long battery life unit that will provide 3 LPM continuous is not available. The SeQual eQuinox is the smallest and lightest unit available that will provide up to 3 LPM continuous flow. However, at 14 pounds, it is not generally considered small and lightweight. The unit comes with a 12-cell battery that will last only 48 minutes on 3 LPM. There is a larger 24-cell battery available that will last 1 hour, 49 minutes. My mother is in need of 4-5L cont. flow, is there a portable unit out there that will work for her? She would like to fly to see family but the seaquall unit she has only goes to 3 cont. The Eclipse is the most powerful portable oxygen concentrator on the market. There is no portable concentrator available that provides above 3 LPM continuous. However, you may find that the Oxymizer Pendant will increase the oxygen flow from the Eclipse and allow your mother to travel. My son has a trach. We have to travel to Seattle and need a portable humidifier to add to a SimplyGo poc. What do you recommend. By humidifier, do you mean a humidifier bottle? If so, Respironics makes one for the SimplyGo. You can purchases it at this website. Although you would need to be very careful to use it only when the unit was stationary so the water doesn’t back-flow into the unit. The AirSep Focus Portable Oxygen Concentrator is being advertized as the lightest POC around (about 1 kg). Is it any good in terms of quality, reliability, ease of use and maintenance? I am looking for something to help a lung cancer patient suffering from breathlessness when climbing stairs or walking on a road with a slight upward slope (walking on a horizontal road is still OK, for the time being). A pulse system shoud be sufficient. I need it in the UK. The manufacturer is in the US. Any idea whether it is better or cheaper to order it in the US or in the UK? The Focus may work. It has very limited oxygen production and is best for only minimal oxygen requirements. Quality and reliability are good. The cords to connect the batteries to the unit can be cumbersome. The standard micro battery uses one cord, and the larger optional battery uses a different cord. So if you have both, it’s a lot to keep track of. I am not sure about purchasing in the US or the UK. I am guessing you would find cheaper prices in the US, but you would have to look into shipping costs and import/customs fees. You may also have to return the unit to the US for repairs. NORMALLY I DON’T REQUIRE AN OXYGEN SUPPLEMENT BUT MY CARDIOLOGIST SUGGESTED I CONSIDER USING IT WHEN DOWN HILL SKIING OR ROAD BIKING WHEN AT HIGHER ALTITUDES. DO YOU KNOW OF ANY LIGHT WEIGHT DEVICE THAT WOULD FIT INTO A BACK PAC THAT WOULD FIT MY NEEDS. Portable concentrators should not be put into a regular backpack because they need proper ventilation in or to “make” oxygen. However, a unit like the Inogen One G3 would be a small unit that should provide sufficient oxygen for your needs. And Inogen makes a backpack that fits the unit and has a compartment for accessories or other items. I recommend it as your first consideration. What do you suggest for an apartment solution? I would like a unit that would provide the oxygen I need for my whole apartment. I do not want to carry it around at home and I do not mind if it is vented outside. Is there an air conditioner type unit available that you would recommend? Also, I am also looking for a light weight personal unit to carry with me when I am not at home. I am not aware of any unit that would be able to concentrate the oxygen for an entire apartment. However, if you use a 50′ cannula with a home concentrator put in the center of an apartment you should be able to reach all areas of the apartment. As for a lightweight personal unit, what is your oxygen flow setting? If you require pulse 3 or less, I recommend checking out the Inogen One G3, AirSep FreeStyle, or LifeChoice Activox, which are all under 5 pounds. i’m new to portable oxygen concentrators. i’ve been in the hospital for the past 3 months for pneumothorax, (collapsed lung). i’m finally home. my insurance gave me the simplygo. the battery life is about 2hrs. when i’m in the car and it is plugged in the cigarette lighter to charge, and i’m using the machine to breath, it does’nt seem to be charging. is that normal? i use setting 2. i don’t need oxygen 24hrs, especially on less humid days. is there a portable cocentrator with longer battery life? thankyou!! The SimplyGo will first use any power the car gives it to operate the machine and then any extra power is directed to charge the battery. The battery will charge, but very slowly. If you are using Setting 2 pulse, then you should be getting about 3 1/2 hours. The oxygen company many have given you an old battery with your unit. The Inogen One G2 with a 24-cell battery would last almost 8 hours on Setting 2. Love the AirSep Freestyle 3 POC @ 4.2 lbs. You should know, however, that there IS a FreeStyle 5, which provides up to 5LPM pulse… You do not seem to know it exists? Yes, I am aware of the FreeStyle 5. It is not a very popular unit, probably due to short battery duration, especially at the higher settings. It is 6.2 pounds and provides pulse flow up to setting 5. I am unable to make a recommendation based only on a diagnosis. The oxygen concentrator that your mother needs would first be determined by her oxygen needs, followed by her portability needs. You will have to consult her doctor regarding her oxygen needs then we can see what might be best for her. My mother uses a rollator. We have not been able to find a specific accessory for attaching a POC or anyone that is knowledgable about this issue. Can you make a recommendation? Does your mom already have a POC? If so, which model? If your mom’s rollator has a metal basket, a small unit will fit in it right under the seat. Or, you can turn around the metal basket and part of it will protrude out the front of the rollator and provide room for a small unit to stand up in front of the seat. Either of these configurations will work for units like the Inogen One G2 or smaller. Thanks for your quick reply. Mom uses a console with a 30′ hose, which is why she needs a POC immediately! Prelim test results show she needs continuous flow, so we have been looking at the SimplyGo. It looked like it would be too tall fit in her basket, but we didn’t know the basket could be turned around. I live in a different state, so I will ask mom to try it. I am looking for a POC for an advanced lung cancer patient. She is already breating rather fast when in rest, but would be panting when trying to walk. Could a pulse POC keep up with fast breathing or would this confuse the system? Would some pulse systems be better able to cope with fast breathing than others? The AirSep Focus is nice and light but has only a setting of 2. Would in this case a POC that can go to higher settings be more advisable. Or would it be necessary to go for a portable flow systeem like the Respironics, which unfortunately is heavier, but I guess someone accompanying the patient could carry the machine. I would not recommend any of the small units for patients with a fast breathing rate. While the 5-pound units can accommodate faster breathing by reducing the amount of oxygen delivered (see my article on pulse flow settings), they often do not provide sufficient oxygen when the patient needs more oxygen and fast breathing can lead to out-breathing the machine, meaning the patient breathes faster than the machine can produce oxygen. The Respironics is more powerful and can handle faster breathing when used at a lower setting (3 or less), but it will also have a hard time keeping up with fast breathing at setting 4 or higher. For a unit that can truly keep up with fast breathing and not sacrifice the amount of oxygen provided per breath you would need to consider the SeQual Eclipse or SeQual eQuinox. These units can handle up to 40 breaths per minute at all but the highest settings. I’m looking for a Portable oxygen concentrator for my dad, he lives in South America and he uses 3 LPM, doesn’t use oxygen when sleeping and breath through his nose. With all the options in the market is really difficult to know what could be the right option for him. He had stopped going out and doesn’t want to do anything because he is scared to have a crisis for not having oxygen so I think a portable oxygen concentrator model that provides both continuous and pulse flow will be the best option for him. I checked Airsep Freestyle 5 Portable Oxygen Concentrator and it looks a good option. Would you be able to advise me if this is a good choice for him? The AirSep FreeStyle 5 is a pulse only unit and will not provide a continuous flow option. Since he only uses the unit during the day and breathes through his nose, he may not need a concentrator with a continuous flow setting, but might prefer a smaller pulse only unit such as the FreeStyle 5 or the Inogen One G2. If he wants the continuous flow option then a larger unit, such as the SeQual eQuinox or SeQual Eclipse would be the best choices. I want a Poc for my father, he has a home oxygen generator at night, I want to buy him a pulse 2Lpm Poc for his shopping. I saw the comment said inogen G3 is noisy, what about life choice activox and the airsep focus? Which one is the most quiet? Is activox reliable? The Activox is the quietest of the three. The Inogen One G3 has a rather loud purging sound and the Focus’s motor is louder than the others. To my knowledge, the Activox is reliable. All of these units have filters to clean, the Inogen has sieve columns that can be replaced without factory repair. My son was born prematurely and now has chronic lung disease. He will require up to 3L/min continuous oxygen to get him home from Spain to Australia. I’m tossing up between the SeQual Eclipse 5 and the oxlife independence, and haven’t ruled out the DeVilbiss iGo. Battery life is important due to the long flight. Durability/reliability is also important as it will be used for a short time as a home unit also (short number of months possibly). I would prefer something that requires as little maintenance as possible. Noise level and weight are important but less than the other things mentioned. Thank you. Your blog has been the most useful source of information. I would appreciate your advice or suggestion for a unit. The SeQual Eclipse 5, Oxlife Independence, and DeVilbiss iGo are all close in size, weight and noise level, with the SeQual and DeVilbiss units being most reliable. Another option, if the extra cost is not a concern, would be the SeQual eQuinox. It is several pounds lighter and the 24-cell battery provides the longest time (1.8 hours) on 3 LPM continuous. If my Dad requires continuous flow (vs pulse) because he is a mouth breather, would an Oxymizer work for him? It looks like the company (OptiSat) that made the AccuO2, a closed-loop, oximetry-driven POC is no longer producing them (no longer in business?). Do you know of any current or future closed loop product? Thanks much – your blog is invaluable. Since the Oxymizer requires inhalation through the nose to release the oxygen, it is unlikely that it will work for a mouth-breather. It appears that the AccuO2 was approved by the FDA in 2005, but I am not aware that it was ever produced for sale. While the idea of an oximetry-driven POC is advanced, it is not easily implemented for common oxygen use due to the necessity of continuous oximetry via a monitor and wire attached to a person’s hand, limiting mobility and use of that hand. I am not aware of any other oximetry-driven POC being produced now or for the future. I am just starting to search for a portable concentrator. I use oxygen for sleeping at night only – 2 liter. So Dr. says I need continuous flow. Inogen says their machine – pulse? – works for 24 hour use. Yes? Also, while portables have batteries, I expect to be able to plug in to wall outlet while using – just as I do at home. Can you plug in portables for oxygen use as well as charging? Many thanks for your help. The Inogen units are pulse only; they have no continuous flow option. The smallest portable unit that provides 2 LPM continuous is the Respironics SimplyGo. It is a 10-pound unit. Yes, you can plug portable concentrators into a wall outlet and it will automatically charge the battery and power the machine. You can use the machine for oxygen while it is plugged in. Since you only need oxygen at night and if you always have access to electricity you may want to get the Respironics SimplyFlo. It is the same size as the SimplyGo, but without the battery option. Thus, is it a travel-sized home unit. The advantage is a savings of about $400 in the price. Thank you so much for your help! Choosing the right machine seems like QUITE a chore. Your help is so appreciated. Dear Allison, we are very new to all oxygen concentrator business. My father just was diagnosed with IPF and we urgently bought a 5l stationary machine without any proper advise of specialist. We also want to buy a portable one that would allow him to go out or travel as. Second, here in Kyrgyzstan, now and then we have power cuts for a few hours. I thought portable units with additional batteries would be handy in such cases too. What would you suggest? A portable concentrator sounds like a very good idea. It would allow your father to get out and travel, as well as provide oxygen during power outages. I am unable to make any further recommendations without knowing his oxygen and portability needs. I recommend you read my series on Choosing the Best Portable Concentrator. As for the cold air, it is more common for the concentrator to warm up the air a little bit. There are two possibilities why the air is getting colder. First, if the tubing is long and runs along a colder surface, such as the floor, it will get colder. You could try lifting the tubing off the floor to keep the air a little warmer. Second, if your father is using a humidifier bottle then the water will get to room temperature over time, and as you noted the room is not very warm, and can make the air flowing through it get colder. You can try filling the water bottle with warmer water, but do not make it too warm, otherwise the warmer air will condense in the tubing as it comes in contact with the colder room air and cause water to accumulate in the tubing. Thanks a lot, dear Allison! We will follow the recommendations. Haven’t had power cuts in last few days. Hope this will stay as it is. and meanwhile we will try to order a portable unit. You are doing such great job with your help!!! Many thanks!!! By using a search engine such as Google, you can easily find numerous companies that sell the SimplyGo. Be sure to choose a company that provides good warranty service as outlined in my article. Hello, my aunt (68) has COPD and she used to have a Respironics EverGo but it stopped working and we can’t fix it cause we live in Venezuela and there are no parts available here to fix it. Right now she can’t leave her home cause she doesn’t have a working POC so I wanted to know which model would work for her, from a brand that is reliable, easy to carry and that can provide continuous flow from 3 to 5 (she needs 5 when she walks cause she gets more agitated). If u could name me a few models that could work I would really appreciate it. Thank u so much! Unfortunately, there are no POCs available that provide more than 3 LPM continuous flow. Also, any model that is easy to carry is going to be pulse-only oxygen flow. The smallest POC that provides a continuous flow (up to 2 LPM) is the Respironics SimplyGo. This is the unit that replaced your aunt’s EverGo. 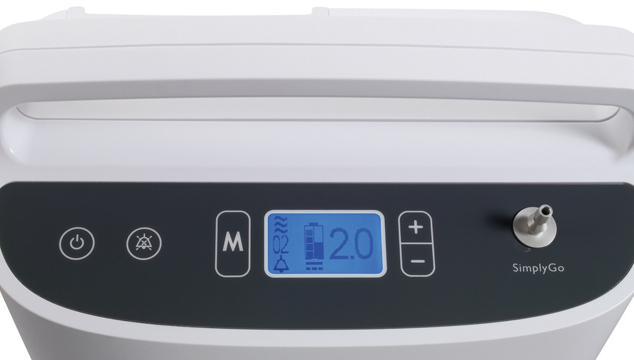 The SeQual Eclipse 5 is the most powerful POC on the market and it provides up to 3 LPM continuous and the greatest amount of oxygen at the pulse settings. However, this unit is 18 pounds and must be pulled on a cart. The most powerful pulse only unit (providing up to setting 6) is the Inogen One G2. For a comparison in oxygen flows and size and weight, I recommend you read my POC comparison article. I am looking for POC for my mother.The Dr has recommended 4LPM while walking and not to use oxygen while sitting or sleeping.she has home device-visionair that has setting till 6LPM.She is working so we are looking for portable one,only for outdoor use.There is so much confusion.Which is the lightest model that provide upto 6LPM? Because it may increase in future however till now doctor has recommended4LPM.How is Airsep freestyle(ithink it has till 5LPM and weight id 2.7kgs). The AirSep FreeStyle 5 provides up to pulse setting 5 and weighs 6.2 pounds. The Inogen One G2, which is a more powerful unit, provides up to pulse setting 6 and weighs 7 pounds. I am new to oxygen concentrator field. Dr has recommended 3 LPM for me. I have insurance and they provide rental only. I need oxygen for outdoors (walking/traveling out of town/outdoor activities) Could you please suggest me which one I should explore? There are are so many types available and I am qualified how to assess and select for my need. Can you please help. I may need oxygen if I over exert. I am 62 years. If you must have continuous flow, or at least the option of continuous flow, then I would recommend the SeQual Eclipse 5 or SeQual eQuinox. Because these units produce up to 3 LPM continuous they are larger and heavier than a pulse only unit. If you can use a pulse flow and would prefer a unit that is smaller and lighter, you may like the Inogen One G3 (for the smallest option) or the Inogen One G2, which is a little larger but quieter and provides higher pulse settings. The most powerful pulse only unit is the Inogen One G2. This unit will provide up to pulse setting 6 only. For higher pulse settings, your only options would be the SeQual Eclipse 5 or the SeQual eQuinox. Both provide regular pulse settings up to 6 and super settings up to 9. Both are also designed to charge in the car; however, actual user experience varies depending on how generous the car is with sharing its power. Of the two, the eQuinox is the smallest and lightest. Hi Allison! I am trying to get information for a Special Education Classroom in our High School District. This class goes out on field trips quite regularly, and needs a portable machine that could administer breathing treatments to students as needed, without needing an outlet. I really do not know much about this and thought maybe you could give me some suggestions for ordering. What a thoughtful way to assist your special education students! My concern is that oxygen concentrators are considered a prescription device and a prescription is required for purchase. Medical facilities, doctor’s offices and nursing homes are able to have equipment on hand for their patients, but I am not sure that schools fall into the same category. If you determine that they do, then you may simply place an order. If they do not, then you would need a prescription from the doctor of the student who will use the machine. I’m looking for a continuous flow concentrator that is 20 liters that’s under $3000 could you point me in the best direction and tell me what are some of my options. THANKS IN ADVANCE!! In order to get 20 liters (20 LPM) you will need to use 2 10-liter units and connect the tubing with a Y-connector. Be sure that the units are the same model because the output pressure needs to be the same. You should be able to find 10-liters units for around $1500 each. Thanks!!! I ended up calling around and they basically told me the same thing . I read your article on where to buy oxygen concentrator and saw that you recommended Oximedical do you really think they are the best option. I spoke to a rep from US Oxygen Sales he quoted me a price of about $1250 but he didn’t explain their warranty or trail period or money back guarantee. OxiMedical is a quality company that I do not hesitate to recommend. I have not heard of US Oxygen Sales; they must be a new company despite their claim to be in business since 1992. I would check their policies carefully before making a purchase. Why is it so difficult to get an address & cost to have a broken lifechoice concentraor fixed? Without knowing the nature of the difficulties you are having I am unable to provide a direct answer. However, I suspect that you are having one of two problems. First, you may be having a problem with your dealer. Manufacturers do not take repair requests directly from the public; instead you must contact the dealer from which you obtained the unit. They will be able to contact InovaLabs on your behalf and get a repair authorization number and the address where you can send the unit for repair. If your dealer is not being helpful then you are really in a bind. If you contact the manufacturer directly they may be able to reassign the unit to another dealer who is willing to assist you. As I have said before – You dealer is VERY important to a POC purchase. Second, even if your dealer is very helpful, I have found that InovaLabs (the manufacturer for the LifeChoice and LifeChoice Activox) has the slowest response time, often taking 2-3 days to respond to the dealer instead of 2-3 hours like other manufacturers. Please be patient with your dealer if they are telling you they are waiting to hear from the manufacturer. What they are telling you is most likely true and their hands are tied. Hi Allison, I am hoping that you can help me please. I am on 2L oxygen since last summer. Lincare is my supplier. I started out with oxygen tanks, but I couldn’t carry them. I also have fibromyalgia and have weakness from muscle loss due to infections after surgeries. Next I tried Activox Portable Concentrator. It is way too heavy for me to carry and causes more pain flare ups. I have really good insurance. What is the latest, smallest, lightest, portable oxygen concentrator? I use a home concentrator at home. Mainly use the portable Activox for going out, church, appts, etc. I see so many on the internet that it is confusing to me. Thank you so much for your help! The Activox falls into the 5-pound category of lightweight portable oxygen concentrators. The only unit on the market that is lighter is the AirSep Focus. This unit is less than 2 pounds and has micro batteries that weigh only .53 pounds. There is also a larger battery option available. The Focus provide only a pulse flow setting of 2 so it supplies a very limited amount of oxygen. Since you are currently using 2 pulse on the Activox, the Focus would work for you. It is unlikely that Lincare would supply the Focus, so you may have to purchase one on your own to get the size and weight that you need. I have COPD and have been on oxygen for 8 years. Originally I was only on 2 lpm at night but I am now at 4 lmp 24/7. I also use a CPAP every night with my oxygen. I have a home concentrator with a home fill unit attached. I have 4 small portable tanks that I use for travel. If I am active, it is necessary for me to stay at 4 lpm but when idle I am allowed to drop it to 3 lpm. It is possible for me to put 2 portable tanks into my backpack (although I usually only do 1) and travel when I need or want to. The only issue that comes up now and then is extended travel. Where ever we go for anything beyond overnight, it becomes necessary to load up the concentrator and home fill unit. Everyone has suggested that I look into the portable units to travel with but I feel that with only the portable unit with me I will be much more restricted. We have also run into power failures that would eliminate the portable concentrators. By law here I have a very large portable tank and never go to bed without all 4 of my own portable tanks full. I also have a portable gas generator as backup. I must say that this works well for me and I stay very active. Do you feel there is a need for me to look into getting a portable concentrator. Eventually there will be a need for greater then 5 lpm and both my home concentrator and portable bottles have that ability. Other than some inconvenience with extended travel, it sounds as if you are doing well with the system you have. Portable concentrators only provide up to 3 LPM continuous flow so they would not provide the 4 LPM that you need at night with your CPAP. The Inogen At Home concentrator is a stationary concentrator that provides up to 5 LPM and is only 18-pounds so it is lightweight for travel, but it would not be able to fill your tanks. You would need the At Home unit for night and a portable oxygen concentrator for day use on pulse flow settings. All-in-all, I don’t see this as a better option than what you have now as long as you are able to manage traveling with the homefill system. The key to being able to use a pulse flow is the ability to trigger the pulse by breathing through your nose. Most people have shallow breathing while sleeping or breathe through their mouth and are not able to consistently trigger the pulse while sleeping. However, others do just fine. Knowing her breathing habits while sleeping and discussing it with her doctor will assist you in making a decision. Dear Allison – I am looking to purchase a used LifeChoice Activox 4L. I have done quite a bit of research and know that this is the best model for my purposes. However, I do not know how this model performs long-term. I am contemplating the purchase of one unit that is only three months old and under warranty; however, the warranty is not transferable upon sale. The asking price, though, is excellent. Should I be concerned that there is no warranty? Most POCs need service at least one time during the 3-year manufacturer warranty. Without a warranty, you can expect to pay about $150 to $200 for the most common issues with the Activox (sieve replacement and internal battery replacement). Also, if you are able, be sure to try to machine before you buy it. The Activox provides the lowest amount of oxygen per breath of any POC and you’ll want to make sure that it provides sufficient oxygen for your respiratory needs. First, thank you very much for the prompt reply. I think I’m purchasing the right machine but your comment re: “lowest amount of oxygen per breath of any POC” makes me wonder if perhaps I am wrong. The Activox has both the pulse and wave (continuous) delivery methods. Are you referring to one mode or the other, or both? I presently use the Philips Simply Go and was looking to get a machine that is lighter in weight for both day and night time use – at night, I am a shallow / non-breather, so the amount of oxygen per breath is very important to me and a feature I apparently wasn’t taking into consideration. Perhaps I should continue using the Philips. I can get a very good deal on a used one for this model as well. The Activox is a pulse only unit. The wave does not refer to continuous flow; rather the manufacturer calls pulse flow “pulse-wave delivery”. According to their site: “PULSE-WAVE Delivery takes over once a breath has been detected and controls the flow of oxygen so that the maximum dose can reach your lungs.” But as a pulse unit, you have to breathe well through your nose to trigger the pulse, thus it would probably not work for you at night. The SimplyGo is the lightest POC on the market that provides a continuous flow of oxygen. For day use, you will find the Activox much more portable since it is half the weight of the SimplyGo. However, if you usually use setting 2 (480 mL per minute at 20 BPM) on the SimplyGo, you may need to increase the flow setting to 3 (450 mL per minute at 20 BPM) on the Activox to get the proper amount of oxygen. Allison – I am so glad I found this website and you! Your knowledge of these machines is incredibly helpful. Without your input I would have made a very expensive error in purchasing the wrong device, and more so, in not properly treating my hypoxemia / hypoventilation syndrome diagnose. I can now confidently move forward with purchasing the SimplyGo concentrator. A million thanks for all your help. No price tag can be put on “peace of mind”!! I need an oxygen concentrator to use with my O3 Elite medical ozone machine (low flow) in my house. Which do you recommend? What are your thoughts on a refurbished EvenFlo? I want a quiet machine. You would want to get the EverFlo Q instead of a regular EverFlo. The Q stands for quiet. I am not familiar with ozone machines and the oxygen requirements for use with them. However, if you are looking for a home concentrator that provides up to 5 LPM, then the Respironics EverFlo Q or AirSep Visionaire would be a good options. Basic question – how do you compare LPM calculations from a stationary concentrator to a portable. The portables all have ranges, like 1-6. But what does that mean? It isn’t LPM, right? This article is exactly what I was looking for. Thanks! Keep up the good (and important) work. where can i price indogen on line in Canada? I am not familiar with Inogen sales in Canada. You may want to call Inogen directly for a list of dealers in Canada. You can find Inogen at http://www.inogen.com. I apologize for my delayed response. Your comment got lost along the way and I just uncovered it. While I have not yet reviewed the Oxlife Independence, after several years on the market the bugs seemed to have been worked out and it is a quality product, comparable to the SeQual models. Keep in mind that 2 Oxlife batteries are roughly equivalent to 1 Eclipse or 1 eQuinox 24-cell battery. Also, the body of the Oxlife is more prone to show scratches and there is no protective cover available. Otherwise, it is a reliable model. My mother is 85 years old and a lung cancer survivor. She is now in need of a light weight POC so she can be more mobile. Her oxygen requirement is 2 LPM. What would you recommend in a light weight portable machine that can be charged in the car, and give her a generous amount of hours without charging? She’s somewhat weak so it needs to be light. How’s that for asking for everything! If your mother is able to use a pulse flow then the Inogen One G3 or the Philips SimplyGo Mini would be great choices for her. Thanks for helping us with this and providing suggestions. I’ve seen some comments on the Inova Labs Activex Pro today. What are your thoughts on that one? The Activox provides considerably less oxygen at each of the flow settings (300 mL per minute at 20 breaths per minute on setting 2) compared to the SimplyGo Mini and Inogen One G3 (420 mL per minute at 20 breaths per minute on setting 2). I have also heard that manufacturer warranty repair time is long – 6-8 weeks. The recent purchase of Inova Labs by ResMed will certainly result in numerous improvements to products and services, but I would imagine it will take several months to years for these to be implemented. I would appreciate your recommendation and thoughts …, currently, my mom (age 74) is using SimplyGo POC during the day to go out and uses at home as well. When she’s awake, she needs pulse at 2 setting and when she sleeps at night she uses Invacare platinum XL home concentrator at 2 continuous flow. Invacare is big & very loud but that’s all I can get from Apria healthcare (covered by insurance). So far SimplyGo has been great for her to use for 12-14 hours a day but because it is a small POC, I’m concern that it’s over used or not strong enough to be used that long? Thus, I’m thinking that I should get her another, stronger (bigger) POC she can use at home for long period. I’m thinking about POC and not home concentrator because she prefers to have small oxygen concentrator during daytime when she’s active around the house and doesn’t want the POC to be too big & loud when guest come for visit. Can you recommend any POC? Or is there oxygen concentrator that can do both Home & Portable on wheels? The SimplyGo has a 15,000-hour motor, so it can handle heavy usage. However, if you want a more powerful unit that can preserve the life of the SimplyGo and act as a back-up if needed, you may want to consider the SeQual Eclipse 5 or the SeQual eQuinox. Both units have a 30,000-hour motor and can be expected to handle the rigors for heavy usage. Thank you for information. Im not sure if I understand what 15,000 hour motor mean. Does it mean POC can run for that long continuously? Or 15,000 total hours to use on POC. SimplyGo doesn’t have any time tracker built in tho. The POC motor is expected to last 15,000 hours of usage. So if you used the unit 24 hours a day, it would last almost 2 years. If you use it half that time, it would last nearly 4 years. When you press the power on button it will show you the total hours on the unit, Hr=___. Thank you so much for the valuable information!! The Activox is a pulse flow only unit and does not provide continuous flow. The unit will auto-adjust the trigger sensitivity, but it always requires inhalation to deliver oxygen. My 85-year-old end-stage COPD patient needs 4L/min. continuous oxygen flow. Is there a portable oxygen concentrator suitable for their use, or are the E tanks our best option for trips outside the home? Unfortunately, there isn’t a POC on the market that provides 4 LPM continuous. O2 Concepts is supposed to be launching an improved Oxlife unit that will provide 4 LPM, but rumor has it that it will not be until next year. In the meantime, it is possible that a SeQual Eclipse will work if you also use an Oxymizer Conserving Cannula, which increases continuous flow settings. The SeQual Eclipse 5, SeQual eQuinox and Oxlife Independence offer continuous flow at 2.5 LPM. The pulse only units offer whole increment settings, 1, 2, 3…. Keep in mind that pulse flow settings are arbitrary numbers assigned by the manufacturer. While they are intended to be rough equivalents to continuous flow, the numbers vary from one manufacturer to another. Thus, a setting 2.5 continuous flow may actually be setting 3 on pulse flow. Monitoring your blood oxygen levels while using a pulse oximeter is the only way to know what setting you actually need. ARE ALL POCS TSA APPROVED IF NOT WHICH ARE??? All POCs offered by major manufacturers such as Philips, Inogen, SeQual, Invacare, DeVilbiss, Oxlife, and Inova Labs are FAA approved, except for the newest models that can be used aboard aircraft later this summer – these are the Philips SimplyGo Mini and the Inogen One G4. My wife is on Rx O2 and currently uses HELIOS type portables for short term around town types of travel. I am looking to get a POC for her to extend her away from home/travel options, i.e., 3 to 7 day trips to visit family, etc. Car travel primarily. She is on 2 to 4 continuous. Resting = 2, distance movement = 4 lpm. Home is with a fixed concentrator and she uses a Bi-PAP for overnight. We take the home units with us, so that is not a problem. It is the transit/car/aircraft time. Needless to say, I am in information overload as what I should look at and/or consider. Any recommendations or advise would be greatly appreciated. The highest continuous flow setting a POC will provide is 3 LPM. I would recommend the SeQual Eclipse 5, SeQual eQuinox, or Oxlife Independence. All provide up to 3 LPM continuous flow and pulse settings up to 6 or more (which may satisfy your wife’s 4 LPM requirement while active). Thank you very much for your reply. I purchased the Eclipse 5 per your recommendation & we are thrilled with it so far. The last question is: Is there a cross chart anywhere that converts continuous flow to pulse flow? i.e., Continuous + 2.5 – equals WHAT on pulse? I realize breath rate is a major factor, but is there a “rule of thumb” ? Needless to say, the factory instruction book is vague to say the least concerning this. Thank you again – You’re an Angel for doing this. I glad to hear that! There is no direct conversion from continuous to pulse, especially since pulse setting numbers are arbitrarily set by each manufacturer. However, the Eclipse is the closest 1:1 conversion since it has the highest pulse flow output at each setting. This means that pulse at 2.5 is quite close to 2.5 LPM continuous and would be the first place to start. Ultimately, you need whatever pulse flow setting is needed to maintain a satisfactory blood oxygen level as determined by your doctor. I need 2l/ minute continuous flow oxygen when flying. I have had to pay to have oxygen on board (USD 590) for a return trip from the UK to Sri Lanka recently. I am flying to Canada from the UK in October and Air Canada will be charging for the on board oxygen. What would be the best option for me please? pull the tank carrier and use the walker>nor can I go to the market and carry home any items. to know your suggestion….oh, at home I have the concentrator…..please send me your valuable suggestions. Unfortunately, there isn’t a POC on the market that can provide 4 LPM continuous flow. You may want to consider a Philips SimplyGo, which is 10 lbs. and provides 2 LPM continuous and pulse settings up to 6. Keep in mind that the batteries do not last long on continuous flow so pulse flow is best when it is not connected to an electrical outlet. If you are seeking a smaller unit and can use pulse flow, then an Inogen One G3 may be a good option. It has pulse settings up to 5 and weighs only 5-6 pounds. My wife has cold, pulmonary fibrosis, intestinal lung disease, asthma, serious lung issues! She’s on 5liters, continuous flo. Due to her condition, she’s pretty much homebound! Is there a POC that can meet her needs? Oh, I forgot to mention,she has rheumatoid arthritis in her hands. I love my wife dearly and would love to get her out for loner periods of time ,but the cylinders are too much! I need lightweight, powerful as well as longevity during the course of the day! P!ease, help!!!! Unfortunately, there aren’t any POCs on the market that can provide 5 LPM continuous flow. They highest flow available is 3 LPM. The SeQual eQuinox and SeQual Eclipse 5 are the most powerful units on the market. They provide 3 LPM continuous and pulse settings up to 9. If she is able to use a pulse flow at setting 6 or less, the Inogen One G2 is the most powerful unit available that is under 10 pounds. Hi, I am from hong kong. My mother, 63yrs, 250lbs, wheelchair, suffers sleep apnea and cardiopulmonary failure. She used continuous flow 1L @ daily and use continuous flow 3L with sleep breathing machine at night. Evey weekend I go out with her for shopping, lunch or dinner. I’d like to go on a short trip overnight with her. Now use the oxygen cylinder, the time is too short and the weight is too heavy with wheelchair. Hope you can recommend a light, 24hours and pulsed oxygen machine. Thank you so much. There are small pulse only units, such as the Inogen One G3 and SimplyGo Mini, that provide pulse settings up to 5 and weigh only 5 pounds. However, to accommodate 3 LPM continuous flow for night use, you would need a larger unit such as the SeQual Eclipse 5 or SeQual eQuinox. I don’t know this brand is it good or not. The Inogen One G3 or Philips SimplyGo Mini would be better options. Thank you for your reply. You are so kindly and helpful. Do you know where can buy this and shipping oversea. Unfortunately, I do not know. Manufacturers do not allow their U.S. dealers to ship overseas. You may have to contact the manufacturer of the product you would like to purchase and find out if they have dealers in Hong Kong. The Philips SimplyGo or the GCE Healthcare Zen-O are the smallest units available that provide .5 continuous flow. Both are FAA approved and either would be a good option for your baby. I am trying to research the differences between the SeQual Eclipse 5 and the EQinox ,except for about 2 ibs. difference for the big battery(24 cell) and it talks to you and with a slightly smaller physical size for the eQinox. The larger eclipse5 unless I missed something ,seems to not give anything additional for the extra weight and size .I am just now learning about these Oxygen Concentrators and wonder if I missed some information somewhere, usually bigger means more or old technology could you please elaborate ! The SeQual Eclipse 5 is the older model. It is tried and true and very reliable. In an effort to make a smaller and lighter continuous flow unit, SeQual made the eQuinox. It is lighter and smaller than the Eclipse, has a few electronic gizmos such as a talking display and multiple languages. It also has a considerably higher price tag. Both the Eclipse and eQuinox produce the same level of oxygen so the benefit of the eQuinox is the size, weight, and gizmos. is there any unit that can run continuous flow overnight on battery? Most of the ones I see run only about 1 hour on battery. Unfortunately, continuous flow requires too much power draw for one battery to last all night. The Oxlife Independence has the longest continuous flow battery times since the unit holds 2 batteries at a time, but still nowhere near 8 hours.